Harnessing the potential of our people! Finance, for poverty reduction and a brighter future. NRSP MFBL has developed number of deposit products keeping in mind the short and long term needs of its valued customers. NRSP Microfinance Bank Limited offers complementary hospitalization and accidental death Insurance Scheme. Loans for individuals who need working capital to finance their business, start up, agriculture, education, health, marriage, or any other legal activity. Trading and purchasing of farming animals and any other related to livestock. Your one stop for setting up small businesses and trading. Loans offered to small cultivators through Community Organizations. In NRSP Bank we use Ijarah mostly for leasing of agriculture equipment, motorcycles, auto rukshas and car. Delivering our services and products with integrity, transparency, innovation, and accountability. Sign up for the FREE eStatement Service that delivers your Account statements via email. NRSP Microfinance Bank Limited has a rather exceptional public figure in the society. Being a leader among rising banking systems and establishing a strong influence over a variety of financially integrated aspects of businesses, the NRSP Bank is the leading player of Microfinance in the country. Staying honest to its primary elements of belief, the bank has vowed to offer cutting-edge banking services to its customers adequately with the launch of Islamic Microfinance Operations. Head Office NRSP Microfinance Bank Limited, Near Baghdad Railway Station, University Road, Bahawalpur 63100, Pakistan. Credit Products are delivered by Credit Organizations (COs) which comprise of 10 to 20 people. These officials are responsible for allocating the desired timeframe for the customers and habilitating a preferred set of credit-demands so that the customer has no reason to feel uncomfortable. When the process begins, the loan is secured through a verified group. NRSP offers assistance to its customers to cope with emergency situations and insurance is one of the many ideals set at the pool table! NRSP Bank offers assistance set at priority-based fundamentals varying from aspects like complimentary hospitalization and accidental death Insurance Scheme. NRSP Microfinance Bank in collaboration with UnionPay International (UPI) is issuing debit payment cards based on chip card technology for its valuable customers. UnionPay International (UPI) is a subsidiary of China UnionPay with the acceptance in over 170 countries. Zahid Hussain and his wife run a private college in Ahmedpur East. There are about 500 students in the college who are getting quality education and good results. Despite the success of his business, Zahid felt that he needed to do more to modernize the curriculum he was offering and he felt the greatest impediment to growth and modernization was the lack of a computer lab. After much contemplation, Zahid decided to approach NRSP Bank’s Islamic branch in Ahmedpur to evaluate whether the Bank could help him meet the financing requirements for a computer lab. After meeting the bank representative, he felt he could turn his vision into reality. Islamic branch helped him to purchase 25 computers under a Murabaha agreement and Zahid was delighted to realize his ambitions in a Shariah compliant way. Dilshad Ahmed lives in a remote village called Mangraja, near Head Rajkaan, Tehsil Yazman. Dilshad is a rickshaw driver but used to drive a rickshaw on rent which limited his earnings to PKR 12,000-15,000 per month. With the limited income, he struggled a lot to educate his children. One day, his friend informed him about NRSP Bank’s Islamic banking services. He visited the Bank to learn of the Islamic banking methodology and products available. He then, applied for a Loader Rickshaw under the Ijarah financing product. 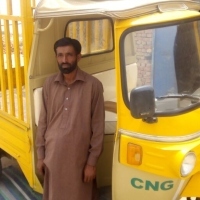 Today, he drives his own rickshaw and his income has more than doubled. All his children are in school and he is far more hopeful of the future. 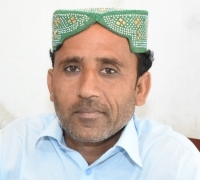 Abdul Qadir is a farmer who lives in Inayat Pur, Tehsil Ahmedpur East. He owns 30 acres of land which he could not cultivate effectively because of the unavailability of farm machinery. Since the land was not as productive as it could be, his income and the wellbeing of his family suffered. Hearing of the Islamic microfinance services offered by NRSP MFBL, Abdul Qadir met with the bank representatives and expressed his desire to purchase a tractor. In a few days, he was the proud owner of a tractor under Ijarah financing. 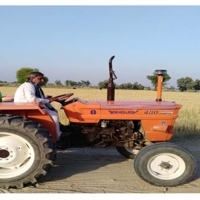 With a tractor, he was able to farm his land more efficiently using it for cultivation, tube well operations, threshing amongst other things, and increased his income. Now the same land provides employment to two of his previously unemployed brothers. Once he has paid off this financing facility, Abdul Qadir is planning to buy a tractor trolley and thresher through NRSP Bank. 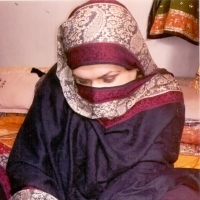 Rabia Irshad has been running the Muhammadan Grammar School in Qasimpur Colony, Multan for the past 16 years. In December 2016, Rabia contacted the Bank for financial support to improve the infrastructure of the school and that marked the beginning of NRSP Bank’s relationship with Muhammadan Grammar School. There were 318 students in school at that time and Rabia lacked the funds to renovate the building and improve the classrooms. With a loan amount of PKR 500,000, she achieved both goals and increased the school’s capacity. After completing one loan cycle successfully, Rabia has again applied for financing for further improvements. She appreciated NRSP Bank staff for providing timely and effective services which allowed her to improve and expand her school, leading to quality education being available to more students. Sadaf Ali, a resident of Habib Town, Sahiwal, was a skilled seamstress who had learnt the art of tailoring as a child. She was not, however, using her skill to earn an income – until adversity struck and her husband’s income was no longer sufficient to run their house and support their two daughters. In 2013, Sadaf decided to take a loan of PKR 40,000 from NRSP Bank to buy stitching equipment and set up a tailoring business. Soon, she started getting repeat orders from her growing clientele – so much so that she was able to pay back the loan to the Bank before the due time. With the first successful experience, Sadaf decided to take another loan to expand the tailoring business. The second loan was also of PKR 40,000 and with it she was able to hire a part-time worker. With the tailoring business doing well, Sadaf decided to diversify. She used her savings and took a loan of PKR 70,000 to set up a small livestock business and now she has more than ten small animals. Sadaf and her family now live in a brick house and her daughters are getting good education. 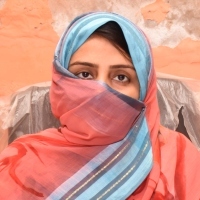 NRSP MFBL was able to change Sadaf’s life and realize the dreams she had for her family. Today, Muhammad Hashim Shahzad is a thriving farmer. A middle aged man, he is a resident of Basti Langah Wala, Kot Addu who inherited the business of farming from his father a few years ago. After his father’s demise, Muhammad became the sole breadwinner for 9 dependents in his family including 5 children, wife, mother, and his siblings. The family business, however, was barely productive, as an arid terrain coupled with traditional farming methods resulted in very little income. In 2014, Muhammad heard about NRSP Bank’s financing products from the Bank’s field staff. He approached NRSP Bank for his first loan of PKR 25,000 through a community organization to meet his working capital requirement. With more funds at his disposal, availing tube-well water became possible, and with more water, Muhammad’s produce increased. After his first successful experience with the Bank, Muhammad decided to take further help from NRSP Bank. He coordinated with NRSP MFBL representatives who helped him select improved farming techniques and explore available financing options. Since then, Muhammad has received larger loans, cultivated more quantity and better quality of produce and has increased his income gradually. The larger loan sizes enabled him to implement mechanized farming by paying for tractor and harvester rental services. With increased income, Muhammad and his family have experienced changed circumstances as their standards of living have also improved. He has built a new home for his family and has been able to provide quality education to his children.